Audience Acquisition with iPad Product “The Peel” Is it working? Back in May 2011 we launched our tablet publishing effort (The Peel) seeking to attract a younger demographic utilizing Apple’s iPad. It has been an exciting, yet daunting task. Today, I am happy to say we are making great progress. When we set out on this journey, we laid out milestones that we wanted to reach within a year. The key milestones were 20,000 loyal users and a primary audience in the 35-45 year old demographic, 50,000 downloads, deep user engagement of at least 8 minutes per session and advertiser acceptance. I have been receiving calls from industry friends fairly regularly since the launch of The Peel asking how we are doing. Many of those calls from traditional media businesses still trying to figure out if they should pursue an audience acquisition strategy similar to what we have done. We believe we are heading in the right direction with this product. As The Peel continues to show good results, we will be adding another tablet product focused on a traditional newspaper audience in the 50+ age demographic. I thought everyone might like to see how we have done after 8 months of publishing The Peel, so I included an infographic on the topic. Our strategy is paying off. Frictionless sharing – is it right for publishers? Frictionless sharing. Have you heard these social media buzz words yet? They are becoming quite the discussion point in the publishing world. So what does it mean? Facebook launched frictionless sharing a couple of months ago as a way for users to share content with their friends automatically. Anytime you read news from a social news app or listen to music from a social music app, it will automatically be shared to your Facebook page in the right-side rail and in certain promotional boxes in your timeline. You can still manually share and Like content, in which case, it will be displayed at the top of your timeline. Several publishers are already implementing frictionless sharing. Washington Post and Yahoo both built social apps but they took different approaches. WaPo created a news app that resides within Facebook and allows an entire body of work to move from user to user, while Yahoo is allowing links to be shared directly from its own Website. WaPo doesn’t currently monetize the shared articles, while Yahoo protects its digital display ads by sending traffic back to its site. We have had conversations with both companies and I can appreciate both approaches. On the one hand, WaPo is seeking a new audience and will figure out monetization later. On the other hand, Yahoo wants the audience but not without advertising to pay for it. 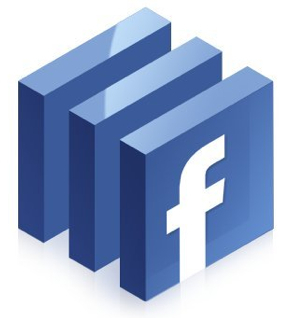 What’s in it for Facebook users? For Facebook users, frictionless sharing allows for greater discovery. Facebook users can now easily see what their friends are reading or listening to. The potential downside is that your friends will get tired of your abundance of automatic shares. If so, users can turn off the frictionless sharing feature and just stick to sharing content on a manual basis. Most likely, users will end up using a combination of automatic and manual sharing. What’s in it for content producers? A content producer can gain exposure and potentially reach a new audience. WaPo tells me that the majority of its Facebook social readers app users are younger – which has cultivated a new audience for its brand and has resulted in millions of page views. WaPo knows that monetization is a necessary factor, but right now it’s simply basking in the fact that a younger demographic has exposure to the brand. Also notable – it hasn’t resulted in a negative impact on its current subscriber base. Yahoo is also benefiting from Facebook’s frictionless sharing, but in this case the end user links back to the Yahoo website which drives up page views and thereby generates more ad impressions. I completely understand why Yahoo is happy with this model, but at the same time WaPo is learning a lot about an audience it doesn’t typically serve. Who’s to say that both brands aren’t correct in their pursuits? “Some have grumbled that ‘frictionless sharing’ is less ideal. First of all, the sender of an article might not want to automatically share that he’s reading about Snookie’s latest shenanigans and his friends might not want to know. For publishers developing news apps, they must make it transparent and easy for users to either enable or disable the ‘frictionless sharing’ function. Second of all and perhaps even more troubling, when friends click to read one of your shares, they are forced to authenticate with the news app (and thus give up personal information) to read the article. This setup creates friction and as a result, less people will end up engaging with news apps. Publishers and Facebook jointly need to work on solutions to allow for true frictionless sharing. When you weigh the risks of participating in Facebook’s social app world against the upside of obtaining a new audience, my advice is to start experimenting and above all figure out first hand what frictionless sharing means and what it can bring to your brand. News Readers and Aggregators: Friend or Foe of Traditional Media? The tablet market has seen several news readers and aggregator apps emerge that elegantly package news, social media and other content from multiple sources into one compelling and personalized reading experience. Apps, such as Flipboard, Zite and the new Livestand by Yahoo!, seem to have found a place in tablet users’ critical hearts. As such, Livestand is currently the number two free app in iTunes. What part will traditional publishers play in this space? Are these newcomers posing a competitive threat, or do they give us an opportunity? It doesn’t seem likely that consumers will pay for these products. Instead, since the news readers rely on third party content, their key to success long term has to be in partnering with content providers. In other words, they need us. But do we need them? At present, it doesn’t appear that news readers drive much referral traffic back to publishers. Over time, this could change, but for now, the only way publishers will benefit is to get ads displayed within their content. You are starting to see some examples of ad placement inside content from content partners. 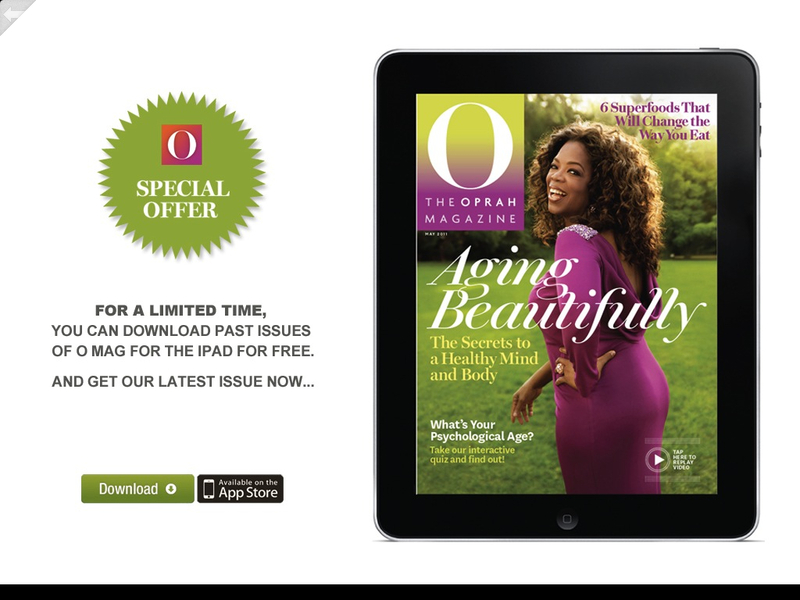 In the example below, The Oprah Magazine is advertising for themselves within Flipboard. The real payoff in partnering with news readers is the potential for premium placement. Yes, you are giving users free access to your content, but you also get maximum exposure of your brand. New audiences will discover you and become familiar with your content. Flipboard, for example has 37 selections, which include brands such as TechCrunch, GigaOm and Wired under Tech & Science. It is publishers job to deliver compelling enough content, such that users eventually will be enticed to visit the original source. Instead of partnering with these newcomers, why can’t newspapers or magazines just do something similar to Flipboard themselves? Washington Post did with the launch of Trove earlier this year. What about publishers at the local level? The reality is we could, but instead we spend most of our time pursuing legacy revenue streams from legacy websites. So, friend or foe? They are both. Foe, in the sense they use our content to “steal” audiences. Friend, in the sense they introduce new audiences to our content. I believe publishers need to work with companies like Flipboard more because of discovery rather than a direct revenue source – at least today. Many news readers are already reaching out to publishers. 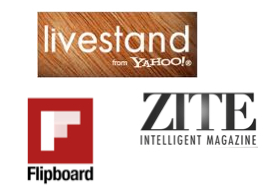 Yahoo LiveStand has already included publisher partners from their newspaper consortium. Google Propeller will also have partners in place at launch. Pulse just introduced Pulse Connect, which lets publishers submit their site for inclusion in Pulse. After approval, it is then available to users of the newsreader as a content source. Zite has an integrated partner program that enables content to be provided to appropriately targeted audiences, such as people in your publishing area or people who are interested in content from your area. Zite claims to use proprietary algorithms to deliver users content that matches their unique tastes and interests and is personalized to the type of content they like to read. Flipboard offers a product called Flipboard Pages, which already includes some larger publishers such as Conde Nast, ABC, SF Gate and the Washington Post. It will soon be expanded to interested publishers, who then become visible inside Flipboard. 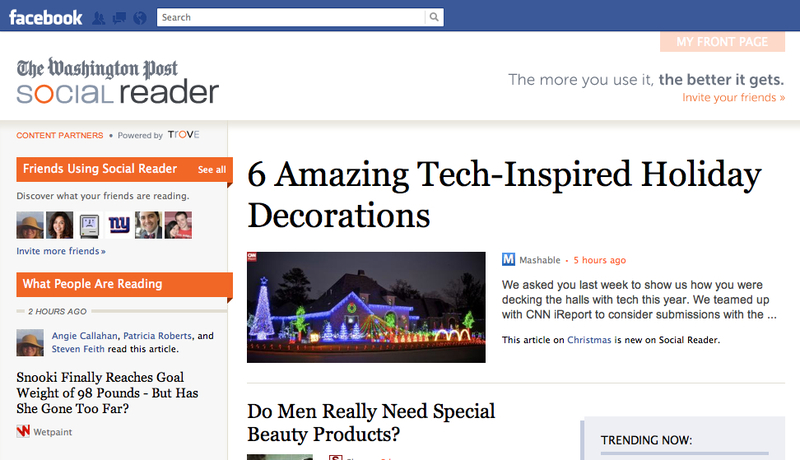 Users can create a section of Flipboard of just your content. The jury is out how publishers will make money from news readers, but they cannot be ignored as potential partners. What do you think? Is partnering with newsreaders a good move, or do you think it would diminish the value of our brand? For more reading, check out this great article from Nieman Labs, which analyzes the battle between aggregators and single-brand apps. There is a particular comment I am in agreement with from the article. “We’ll each pick a single news aggregator to complement our top two to three top single brand choices. Those will be the buttons, the apps, on the first page of our iPads — and the second page won’t matter much”. Also, check out this blog post from cenevoldsen.com, which talks about why aggregators are so compelling from a design standpoint in the first place. Deal Site Shakeout – Should Local Media Throw in the Towel? In one of my previous blog posts, I discussed the 10 tips to compete in the deals space. Now I’m talking about throwing in the towel. What gives? Ok, a bit of tongue in cheek to get your attention. Actually, I think now is the time to double your efforts in the deals space. Let me explain. The deals industry is going through a shakeout but not because revenues are declining or even leveling off. Instead, the big deals sites are continuing to grow and consolidation is beginning. There are only so many deal sites a market can support and unless you have differentiated your product it’s tough to keep up against the big guys marketing spend. Take a look at the overall spend by consumers on deals, the revenue in 2010 is expected to be $873 million growing to $4.2 billion by 2015. Local media has to be a part of the dollars spent on deals or keep losing ground. These are dollars that would normally have been spent with newspapers, magazines, radio and local websites. It is the ultimate pay for performance type of advertising. So, it’s the time to double down, otherwise you jeopardize the opportunity to be a big part of advertising dollars spent by local advertisers. Groupon and Living Social are off to great starts but if you look at local media sites in the deals space, in many cases they are doing well. Local media can offer advertisers a much more robust advertising opportunity than just the deal itself. Local media can put together a package that includes the deal itself marketed via email, front page print advertising, website ads, on air mentions, advertorial and even editorial discussion. These are unique advertising and branding elements that the deals-only businesses cannot duplicate. Local advertisers receive branding value they might not otherwise be able to afford if it weren’t for the deal offering itself. Local media employs local sales people. These sales people have relationships with advertisers in the market. They live and work in the market. 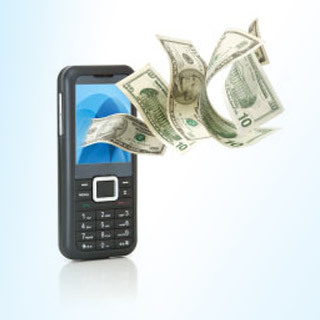 The competition in many cases is calling into the market with telesales. Local media knows it is relationships that will drive sales. Advertisers want to deal with people they know and trust. Local media brands are already established in the market. Unlike competitors who need to spend hundreds of thousands of dollars on advertising their brands for awareness. Local media can spend their precious dollars growing their email and social databases instead of advertising for brand awareness. It’s time to ignore the naysayers and take advantage of the strengths mentioned above. Add more deals. Segment deals into categories. Become more effective in geo targeting of deals. Hire more sales people. Grow your list. Utilize the assets you have and recognize competitors aren’t going away and they will innovate so pay attention. Deals represent a critical battle that local media needs to win or at least participate in at a high level. Check out one of our deal sites here. HTML5 or Native App: What works best on mobile and tablet devices? The mobile market has grown rapidly over the past couple of years and with the addition of tablets we will continue to see double-digit growth for quite some time, as reported by eMarketer in a recent report. With all this growth comes a tremendous challenge. Which mobile platforms should a business pursue to optimize growth of audience and revenue, while keeping in mind associated development costs? Should you develop mobile optimized websites, native apps or most recently web apps? Along with the mobile evolution comes HTML5. This evolving web technology is a cornerstone of the growing Web App development effort. Many publishers like HTML5 because it costs less than developing a native app for each mobile platform/Operating System (i.e., iOS, Android, Blackberry, etc.). With HTML5 web apps, essentially, you build your app once and it will work across all mobile devices. It is important to have a layman’s understanding of what HTML5 is in order to assess the most optimal utilization. The promise of HTML5 is cross platform development. It is designed to deliver as close a native app experience as possible but deliver it via the open mobile web. Since it is the web it does not matter what platform you are using. It can be accessed by any device without going through a proprietary app store front operated by a manufacturer or any other third party. Just for clarity sake, a native app is an application specifically designed to run on a proprietary platform, taking advantage of its native platform functionality. Without the need to be connected to the Internet. There is much more to it than that but I did say layman’s discussion. At present, HTML5 has several strong attributes but it doesn’t offer the same functionality – and doesn’t work as seamlessly – as a native app. For example HTML5 doesn’t allow deeper integration of the device accelerometer, camera, video and GPS capabilities. Shown below is a table I borrowed from Worklight. It identifies specific features and shows no single approach is capable of delivering all of the benefits all of the time. Choosing the right approach depends on the specific needs of the organization and can be driven by parameters such as budget, timeframe, internal resources, target market, required application functionality, IT infrastructure and many others. Most companies today face an obvious tradeoff between user experience and application functionality on one hand, and development costs and time to market on the other. It may sound like HTML5 is long on promise but short on actual results, while a native app delivers a better consumer experience but is more costly and takes longer to develop. I believe the best way to pursue a mobile strategy in today’s environment is a hybrid approach. A hybrid approach takes advantage of the best of both HTML5 and native app technologies to deliver apps with the optimum blend of user experience and cost/time to market. HTML5 based web apps have exciting possibilities and it’s critical for an organization to developing expertise in this new and fast evolving technology. But because of its current limitations it is too much of a risk to fully embrace. The consumer experience may suffer and as fast as the market is moving you could cause harm to your business by not looking savvy to your audience and/or advertisers. 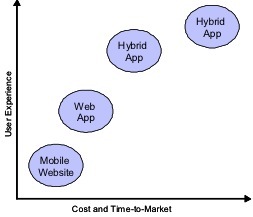 So what is a hybrid app model? It is merging native app capabilities and functionality with an embedded browser inside the app that runs some of the user interface. This is all transparent to the user. You can be assured they don’t care how we get it done, they just want a great user experience. A benefit of a hybrid app is maximum audience reach. A hybrid app will be accessible via web search, as well as through app store distribution. Shown below is a graphic that shows the correlation between a great user experience and the cost and time it takes to create an app. From a strategic standpoint I am an advocate of the hybrid approach. It is not suitable for all app development needs but it does provide a cost effective solution for a wide range of apps. Here is an article on Web vs Native App development you might find interesting reading. Not a day goes by without yet another article on deal sites: new launches, billion dollar valuations, or how they are garnering local ad dollars. For a media business, it is hard to figure out if we should be excited about deal sites or scared to death. Clearly there are some tremendous opportunities — and risks — associated with the deals space. Groupon and Living Social have changed our world in the coupon or deals space. The numbers speak for themselves. Still, a local media business has the opportunity to become a viable competitor to Groupon and Living Social in their respective communities. Several competing deal sites will be available in most ALL communities soon, and many will be legitimate competitors for local advertising dollars. In response, local media must take what has been learned in the deals space and build a stronger differentiated deals presence in the markets served. Finding deals that will work is the hard part. Advertisers selling food, entertainment or personal services such as spa treatments work the best. Patio furniture, mattress stores, replacement window and lawyers do not work. You will also find that in many cases the advertisers offering deals don’t currently advertise in the traditional local media space. They tend to be businesses using Google ad words deeming the local newspaper, radio and television too expensive. 10. Realize that Groupon and others will be calling on businesses in your markets. 9. Differentiation: The number one thing is to differentiate your offer to local advertisers by bundling your ad space along with access to the database of names you have built. Push the fact they get branding as well as immediate sales versus just sales from the likes of Groupon. If you don’t have ad space to include then come up with something that delivers something the advertiser can’t get from the big guys. Also Promote you are part of the community and you want to help them drive loyal customers and not just one time visits. 8. Know going in that you need a dedicated salesperson who owns deals, and in most cases the sales are done over the phone. 7. Remember that you will be calling on lots of small businesses that can participate without plunking down one dollar upfront – a huge selling point compared to advertising without exact knowledge of what they get in return. 6. You don’t have to do a deal every day. 5. You need a champion that knows what deals will or won’t work and can say NO to sales if something doesn’t make sense. 4. Deals and the dollars associated with them are dollars often taken out of the local media budget. 3. You must create in your face marketing to let advertisers know you are in the deals business. The big guys spend lots of dollars promoting their deals and although your business cannot compete on dollars spent, you certainly can make sure your community knows about your business. 2. Innovate and determine how you can grow beyond daily or weekly deals and into instant deals. 1. Remember that this a social media business. You need the deals shared with friends and discussed in a viral nature. Finally remember that people are always looking for deals and local businesses are finding that using daily deal sites really does work. If you are a local media business or just an entrepreneur looking to start a business the deals space is lucrative if you can really drive customers to a local business. It’s not about the deal for the advertisers. It’s about building a new, loyal customer. Doug Bennett is a Media/Technology Executive. He loves to talk about issues impacting the media industry. He is a thought leader in the mobile and tablet space. Besides talking about things he actually runs companies giving him real world experience.